They say that literature broadens the mind. They (them again) also say that travel broadens the mind. In view of which, one may reasonably infer, an excellent way to broaden the mind must be to read literature in translation. The British, though, find themselves sufficiently broad minded already, thank you very much. Compared to our continental neighbours' ravenous appetite for imported fiction, only 3% of the books published in this country were originally written in a language other than our own. But as our friends at the Booktrust charity point out, 3% of the UK market still amounts to 3% of something like 100,000 books published. And that's something they think needs celebrating. To which end they've created a new website. http://www.translatedfiction.org.uk/ consists of news, specially commissioned features from readers and writers the world over, and recommendations on translated books both new and old. Although only just getting going, the site is already full of life. Best of all, it's in English, and you don't need to go anywhere to read it. Patrick McGrath was, of course, one of the star authors at the recent NZ Post Writers & Readers Week in Wellington, New Zealand. 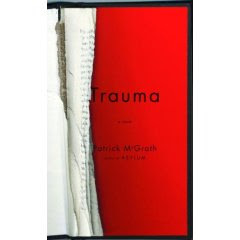 A hero with a dysfunctional childhood and an even more dysfunctional family; grisly and graphic deaths; alarming dreams and premonitions; strange coincidences that may be the product of paranoia or hidden conspiracies; obsessive thoughts and outrageous psychotic behavior: these have been the staples of Patrick McGrath’s fiction. 210 pages. Alfred A. Knopf. $24.95. For the review go to the New York Times online. Irreverent Wellington-based New Zealand arts mag White Fungus is about to celebrate the release of its 9th issue with a party at the capital city's fabulous bar and night-haven Mighty Mighty on Friday, May 9. Titled The Lost Weekend - in reference to the magazine's weekly Sunday radio show on the VBC - the night will include performances by local artists Shanghai Sheba and avant-experimental group The Elephant Men. There will also be DJ sets by Eric Ultimate (Coco Solid), Tao Wells (Gambia Castle), Ace Hurt (Cortina) and White Fungus. The new issue of White Fungus continues in the magazine's tradition of mixing in local and international interdisciplinary content, putting contemporary art and writing on experimental music alongside local history, political satire and literature. Issue 9 features work by artists Richard Killeen, Tao Wells, Greg Malcolm and Yao Jui-Chung, music articles on The Dead C, John Wiese, Justice Yeldham, and an interview with New York-based New Zealand sound artist Annea Lockwood. The issue also includes poetry by Iain Britton (Auckland), Gu Xie (China) and Anne Cammon (New York), and a new colour comic by veteran Wellington comics artist Tim Bollinger titled Noah, commissioned especially for the new issue. The Lost Week End kicks off at Mighty Mighty next Friday, May 9 at 8pm. Entry is $5 or $10 (including a copy of the mag). I wanted to alert you to the fact of my new blog O Audacious Book which I have started to publicise the audacious travels of my novel, The Blue. Published in July 2007 by Penguin, The Blue is onto its second print run, but it is also literally running from one flight to another as it makes its way around the world. After an initial photo sent to me by friends of The Blue on Andros, Greece, I’ve been collecting photos from people I know and people I don’t of The Blue everywhere from Antarctica to St Mark’s Square in Venice to Stonehenge. “My first novel The Blue was published in New Zealand by Penguin in July 2007. After its launch, and the customary appearances at bookshops and libraries, it left the country for places unknown. So, the first photograph is up for all to see and the story about how it came to be, and others will follow. Now I’ve entered what Rachael King refers to as ‘the blogosphere’ I also intend to write about other assertive and audacious books and writings. Oh, and if anyone else has snapped or seen The Blue out and about, please leave a note on the blog. I’d love to know. Bookman Beattie thinks it is a great idea for authors to promote themsleves and their books by way of their own blog. 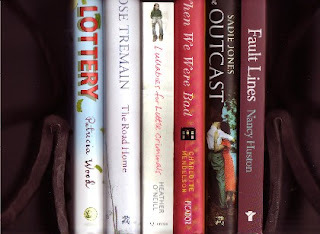 Other NZ authors who have done this include Paula Morris, Chris Bourke and Rachael King. For many Mums this will be the perfect Mother’s Day gift so publication at this time is perfect. In 1998, Virginia Pawsey (née Sinclair) organized a reunion of our small class of Seventh Formers from Gisborne Girls’ High School. We spent Waitangi Weekend in Gisborne reacquainting ourselves with classmates we hadn’t seen since our last school assembly. Gillian organized a picnic for us in Eastwood Hills Arboretum. It was hot. We sat around a picnic table and, while the almost forgotten power of the Gizzy sun beat down, each of us told our life story. Virginia and I had led totally different lives. However, we had also both suffered tragic bereavements. And we both loved our gardens. Before the weekend was over, we all did what Gisborne girls always did then and still do today — we all went to the beach and threw ourselves in the surf. Then everyone scattered, back to their own worlds. The Wainui tide swirled in and pulled back out, and the sand was wiped clean. Virginia and I started emailing each other. We’ve never stopped emailing since. Common Ground is a selection of those emails. 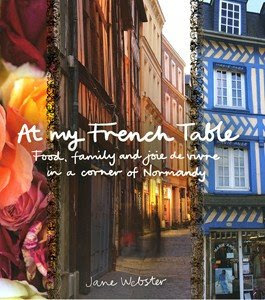 Janice Marriot is a Wellington-based renowned author of books for young adults while Virginia Pawsey is a Canterbury farmer. They are both passionate gardeners and this charming and warm story is largely, but certainly not only, about their year in the garden. They are two very different women gardening in very different environments- inner city and remote rural, North Island and South Island, small cottage garden and large tree featured garden – the differences are many. But their love for gardening is absolutely common to them both. A gentle. heartwarming story which will make perfect reading on those days when it is too wet or cold to be in the garden. Appealing line drawings throughout, like this sleeping labrador, although it does not give the artist's name.. Illustration below shows part of Virginia's farm garden. 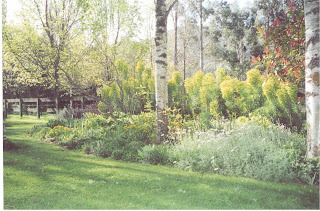 Pic left showes part of Janice's inner city garden. For full information go th their website here. This book was originally around the $55 mark but overstocks by the publisher mean that one can now find it around in bookshops at less than half price. And at that price it is a real bargain. Over the weekend I made the “Bean, pumpkin & sausage casserole” and it was a huge success. Delicious and quite spicy. I used choritzo sausage and spices included smoked paprika, ground mace and ground allspice. 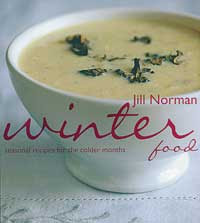 Warmly recommend this recipe and this book. And last night I used her recipe for “Tuna steaks with a balsamic glaze and that went down a treat as well. 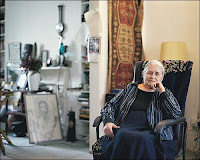 During my Penguin Books days Jill Norman was Penguin’s cookery books editor and when meeting her on my trips to London I recall her great enthusiasm for that wonderful stable of authors she looked after, including of course the great Elizabeth David. Later Jill went on to become a publisher and an author in her own right and is Elizabeth David’s literary trustee. Hats off to Lantern (an imprint of Penguin Books Australia) for their ongoing commitment to publishing beautifully designed hardcover books. Everything I have seen of theirs has been a treasure. This new, most handsome of hardback books, filled with wonderful colour photos by Simon Griffiths, is by organic farmer and olive grower Patrice Newell. She and her partner Phillip Adams, both former journalists, farm in NSW and produce biodynamic olive oil and beef. In the first part of the book the author teaches us how to identify good oil, how to identify and avoid rancidity, and introduces us to the basics: marinades, dressings, infusions and much more. The second part of the book is largely given over to recipes with 20 of Australia’s best known chefs and cooks contributing their favourites. Warning – pick this sumptuous, earthy book up and you will not be able to leave the bookshop without buying it! 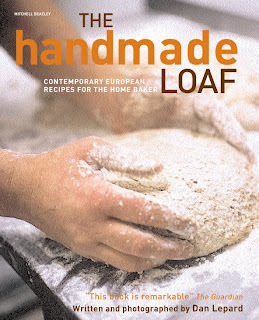 This totally mouth-watering book is a collection of stories and photographs that capture the bread and home bakers of Europe. Lepard wrote the book and took the superb photographs (you can almost smell the hot bread). I have always fancied trying my hand at bread making but have never quite got around to actually doing it, perhaps this book might prove to be the inspiration. This book is a bargain. Over 100 recipes, all illustrated in full colour, all delicious, simple and made with easily available ingredients. All have been tried and tested by the team at Healthy Food magazine and given their seal of approval. From starters to mains and through to desserts they are all here in this easy to follow cookbook. Great housewarming gift. Graham Robb, a literary and cultural historian who cycled through 14,000 miles of French countryside as part of the research for his latest book, has won the 2008 Ondaatje Prize. The £10,000 award, presented last night in a ceremony at the Royal Society of Literature in London, honours books which "evoke the spirit of a place". Robb, who has written literary biographies of Balzac, Victor Hugo and Rimbaud, turned to the wider cultural history of France for The Discovery of France, considering the formation of French national identity between the Revolution and the first world war. The complete report at The Guardian online. BOOKSHOP owner Andrew Ball was struck by figures that showed only 18% of Australians would ever venture into a shop such as his, so he devised a way to take such shops to the remaining 82%. The prototype of his idea sits in front of the Federation Square staircase that links the square’s open space to Flinders Street. Like a market stall it unfolds in the morning and refolds at night. In the meantime, office workers taking their lunch can pick up a copy of Truman Capote’s In Cold Blood while a commuter on their way to catch a train home might be tempted to delve into a Jane Austin or Anthony Trollope classic between the city and Frankston. 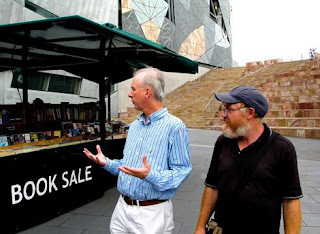 Melbourne’s first portable bookshop has been licensed to self-confessed classics fanatic Ross Matthews and Ball hopes once the project is refined, it will go further — a series of mobile bookshops taken to fairs, markets and even country towns too small to support a bookshop in their own right. "The city used to have a lot of bookshops, but rising rents have forced them out. Also there are a lot of people out there who would like to run a bookshop but are put off by the upfront costs, which can start at $100,000," Ball says. For the full story go to The Age. As a special gift to Star Wars fans, Del Rey will be offering Book One in the series, Star Wars: Legacy of the Force: Betrayal, as a free downloadable PDF, audio book, and eBook. Del Rey has partnered with booksellers to provide the free download. AllBooks.com, Amazon.com, BarnesandNoble.com, Booksense.com, Borders.com, Deepdiscount.com, the eBook story from Sony, Overstock.com, and Powells.com have agreed to make the file available to their customers. "This giveaway is a great way to introduce the legions of Star Wars fans to our books," commented Christine Cabello, Deputy Director of Marketing at the Random House Publishing Group, who oversaw the execution of this initiative. "We also expect that it will build awareness and excitement for the on-sale date of the final book in the series, Invincible." 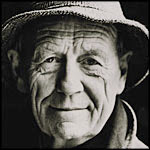 Distinguished novelist, playwright and short story writer William Trevor . This totally gorgeous small hardback book goes on sale in New Zealand Thursday 1 May and I can tell you now that shoe-loving women everywhere will be lining up to buy it or alternatively be putting out heavy hints for Mother’s Day. It is a stunning collection of the most beautiful and glamorous shoes you could imagine, all fabulously photographed accompanied by witty texts or relevant quotes. This book is a celebration of the passion that women have for shoes. I gave the book to Annie for a quick look and lost her for two hours! The introduction is by New Zealand-born, veteran fashion journalist and trend expert Tim Blanks, a former host on the internationally syndicated TV show Fashion File, (he was with the show 17 years), a contributing editor to Style.com,(the online home of Vogue), and writes for the New York Times, W, Vogue, Flare, the Daily Telegraph magazine and many others. He was once described as “the Frank Sinatra of the fashion industry” but he claimed it was only because of the way he held the microphone. In fashion journalism they don’t come much bigger than Tim. His ability to “read” a collection is rated second to none. 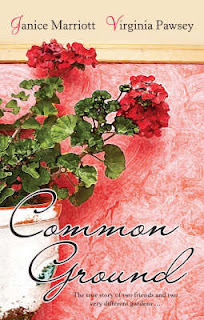 Men - you’ll earn plenty of brownie points by giving this book to a special woman in your life. And what a great price. It is a bargain! Booksellers, stock up for Mother’s Day, Bookman Beattie is picking SHOES to be THE gift this year. High heels were invented by a woman who had been kissed on the cheek. It doesn't matter if you cannot walk more than five steps in your rhinestone-bejeweled stilts without a little rest to regain your balance and composure. Find a spot, stand there and look good. Emma Bowd. What becomes of the broken-hearted? They buy shoes. Mimi Pond. There is always room for one more pair. Nothing has been invented yet that will do a better job than high heels at making a good pair of legs look great, or great ones look fabulous. Stuart Weitzman. Bloomsbury executive director Richard Charkin today dismissed as "absurd" the claims made in the Daily Telegraph that the reason Joanna Trollope (left) has taken her hardback publishing to Transworld was because she was unhappy at Bloomsbury's focus on superstar J K Rowling. Charkin refused to comment on the reasons for Trollope's move, saying "We said to Joanna we'd keep this between us", but he added that it was "not surprising" if authors wanted their hardback and paperback editions published by the same house. Trollope's paperbacks are already published by Transworld imprint Black Swan. In response to allegations made in the Daily Telegraph that Bloomsbury faced growing author unrest over its favourable treatment of Rowling, Charkin said: "It's a ridiculous story and could be damaging. Who the hell [are they talking about]? I've no idea who they talked to. It's absolutely absurd and I can't think where it came from or why the Daily Telegraph considered it a story worth running." A statement from Bloomsbury declared: "At no time has the backing of our other authors been anything less than 100% as evidenced by the great success of new and established authors such as Margaret Atwood, Susanna Clarke, Justin Cartwright, William Boyd, David Guterson, Kate Summerscale, Louis Sachar, Jeffrey Eugenides, Donna Tartt, Jon McGregor, Khaled Hosseini, Ben Macintyre and many others." Charkin added that Bloomsbury did not plan to take any action against the Daily Telegraph. Follow Minette Walters - whose thrillers The Sculptress, The Echo, The Dark Room, The Ice House and The Scold's Bridle have all been successful BBC adaptations - as well as authors A S Byatt, Rob Newman and Geoff Ryman through the different stages of their writing. What happens when the creative juices refuse to flow? Unrelenting cameras capture every displacement activity the authors find. BOOKSELLERS HAVE GIVEN a warm welcome to the inaugural long list for the Desmond Elliott Prize, praising its breadth, depth and quality and its appeal to a readership seeking intelligent and thought-provoking yet page-turning fiction. Waterstone's, Borders and Blackwell's have agreed to promote the list, as have Amazon, Gardners and Bertrams. At Bertrams, Buying Manager Joanne Hilliard thought it “a selection to be proud of, and really great to see a good spread of publishers”. She noted that “with the majority of the list already having proved themselves in hardback, it's going to be difficult to predict the winner”. The Messenger of Athens by Anne Zouroudi (Bloomsbury). Thanks Paul. See you at the Auckland Writers & Readers Festival. Alan Bennett, award-winning dramatist and “Oracle of Little England”, has been shortlisted for the ninth Bollinger Everyman Wodehouse Prize for Comic Fiction. He joins Julian Gough, Garrison Keillor, Will Self, John Walsh and first-time novelist, Joe Dunthorne. A subversive and hugely enjoyable little book, in which HM the Queen discovers the joy’s of Westminster’s travelling library on one of its weekly visits to the palace. Lake Wobegon revisited after a six year absence, still full of good, loving people who drive each other slightly crazy. An insidiously allegorical account of the Western liberal conscience in the aftermath of 9.11, with Self at his most satiric and imaginative. “Stuffed full of comic brio” (The Times), these are the imagined journals of Howard Davidson, the celebrated and scandalous Rector of Stiffkey. The winner will be presented with his prize at the Guardian Hay Festival in late May. He will receive a jeroboam of Bollinger Special Cuvée, a case of Bollinger La Grande Année, and, as is customary, will have the honour of a locally-bred Gloucestershire Old Spot pig named after the triumphant novel. The as-yet-unnamed pig will visit the Festival for the presentation. The judges for this year’s prize are broadcaster and author, James Naughtie; Everyman publisher, David Campbell; and Director of the Guardian Hay Festival, Peter Florence. Everyman’s Library publishes more Wodehouse novels than any other publisher in the UK; this year, it will publish its sixtieth Wodehouse. The beautiful hardback editions (all £10.99 each) have all been re-edited and reset with specially commissioned jacket illustrations by Andrzej Klimowski. Biographical reporting has as much to do with selection and emphasis as it does with the unearthing of raw data. So the way that Carol Felsenthal, in her book about Bill Clinton’s post-presidential life, describes a 2006 newspaper editors’ convention is revealing. This was an event at which the former president spoke pro bono, was warmly received and delighted listeners by ignoring his handlers’ advice that he keep the appearance brief. Illustrated. 386 pp. William Morrow. $25.95. Given the relative dearth of book-length reporting on Mr. Clinton’s suburban years, Ms. Felsenthal does have a worthwhile opportunity. 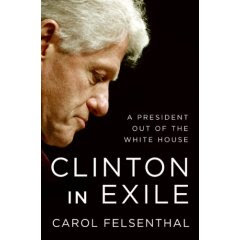 A postpresidency is of great historical interest, none more so than that of Theodore Roosevelt, whose struggle with life out of the limelight was part of Ms. Felsenthal’s inspiration for “Clinton in Exile.” And while no two postpresidencies are alike, she presents Mr. Clinton’s as more like Roosevelt’s than that of Jimmy Carter. “Bill Clinton found the prospect of looking to Jimmy Carter totally unattractive,” she writes. Mr. Clinton, she says, envies Mr. Carter his Nobel Peace Prize. For the full account go to The New York Times online. By Lucy Christie, Scottish Press Association Monday, 28 April 2008 . Report from The Independent. An award-winning poet, a best-selling American author and a Man Booker Prize contender are on the shortlist for Britain's oldest literary award, it was announced today. The James Tait Black Memorial Prizes are awarded annually by the University of Edinburgh for the best work of fiction and the best biography published during the previous year. Acclaimed writers John Burnside, Daniel Mason and Mohsin Hamid are on the 2008 shortlist for the £10,000 awards, along with Rosalind Belben and newcomer Gee Williams. Contenders for the biography prize include accounts on philosopher and political economist John Stuart Mill and architect Augustus Pugin who designed the Houses of Parliament. Also in the running are novels about blues singer Blind Willie McTell, writer Edith Wharton and Stalin. The awards were founded in 1919 by Janet Coats, the widow of publisher James Tait Black, to commemorate her husband's love of literature. 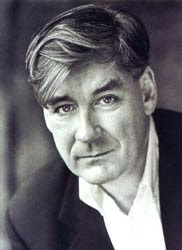 Past winners include DH Lawrence, Graham Greene and Salman Rushdie. Best-selling writers Ian Rankin and Alexander McCall Smith are on the advisory committee. The winners will be announced at the Edinburgh International Book Festival in August. Manager of the awards, Professor Colin Nicholson of the University of Edinburgh, said: "This year's short-listed novels combine cracking story-telling with exceptional writing skills, as do the nominated biographies, which additionally offer fascinating insights into the lives of some extraordinary people." For the complete story, and the whole shortlist go to The Independent. By Vanessa Allen writing in The Daily Mail. 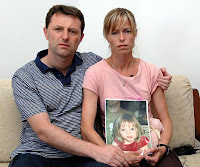 Kate and Gerry McCann plan to write a book about their 'year of hell' without missing Madeleine. Publishing sources say they could be paid up to £1million. The couple's spokesman, Clarence Mitchell, stressed they wanted to raise money for the dwindling Find Madeleine appeal and to counter a campaign of smears by Portuguese police. Several publishers have approached them and there is every possibility of a bidding frenzy. Last week it emerged that the former head of the Madeleine investigation, Goncalo Amaral, has written a book about the case with the working title The Truth of the Lie. Insiders said it will contain 'explosive' details about the police inquiry and the decision to name the McCanns as official suspects, or arguidos. Mr Mitchell confirmed that Mr McCann, 39, had talked to one publishing house and been approached by several others. Story and pictures from The Daily Mail. More. AN INVITATION FROM THE MINISTRY FOR CULTURE & HERITAGE. Makereti (1873-1930) was internationally renowned in her role as ‘Maggie Papakura’ — the accomplished and beautiful Whakarewarewa guide. But there’s more to the story as Paul Diamond found when he researched a new illustrated biography. The daughter of an English soldier and a Māori mother, Makereti’s life was bound up with the New Zealand Wars, and gives a fascinating insight into the recovery of the Māori population following the conflict. Venue: Ministry for Culture and Heritage, Te Wharenui /Te Wharepapa meeting rooms, ground floor, Radio NZ House, 155 The Terrace, Wellington. Fiona Kidman’s best-selling novel, The Captive Wife, remains the people’s choice. 10,000 copies have sold to date and publisher Random House has just pushed the button on another reprint. Based on a true story, Kidman’s 2005 novel is the fictionalised account of the real kidnapping of a whaling family by Taranaki Maori and their violent rescue, which marked England’s first armed conflict with Maori. The Captive Wife was a joint-winner of the Readers’ Choice Award and a finalist for the Deutz Medal for Fiction at the 2006 Montana New Zealand Book Awards. If you missed Kim's wonderful, facinating in fact, discussion with the great Australian writer on her Saturday Morning programme then go to the Radio New Zealand National website where you can still hear it. 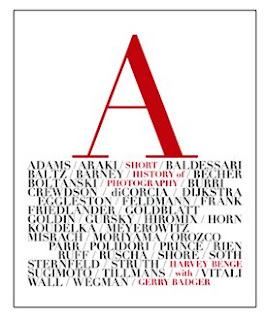 She also spoke to photographer Harvey Benge about his latest book, A Short History of Photography, published this week by Random House. The New Zealand runs a regular column on their "green pages" called The Green Test where they quiz prominent NZ'ers on their carbon footprints. This morning featured one of our great contemporary actors/directors, Michael Hurst. I found the answer to his second question interesting. We recycle plastics, bottles and paper. You are mad if you don't. We re-use the kids' plastic lunch bags, shop with green bags at the supermarket and all of our vegetable waste goes into compost. Where I can, I will walk instead of using the car, or take a bus. I am a stickler for switching off lights, we are trying to have only four-minute showers, and we have decided that things need to be turned off at the wall because those little stand-by lights add up to quite a bit of power. Get rid of one of our two cars and buy a scooter, cut down on having baths (I love a bath), be better at turning things off at the wall and maybe change my attitude about books - after all electronic books such as the Kindle (which can hold 200 books in the one unit) are the way to go in that they don't cost trees. Not sure about that one. What is your biggest environmental sin? Flying to places, no question. But no other options, either. Global warming - man or nature? Man, of course. Trying to soften this is like saying that a woman in an abusive relationship somehow deserves to be colonised, exploited, and then beaten just to make sure. Ridiculous. Global warming and the self-centred, self-righteous attitude of the new fundamentalists (in any sphere) is surely a wake-up call for those of us who live by reason and can see that the future of the planet is in our own hands, no one else's. You’re an Author? Me Too! - Interesting essay from The New York Times weekend edition. In short, everyone has a story — and everyone wants to tell it. Fewer people may be reading, but everywhere you turn, Americans are sounding their barbaric yawps over the roofs of the world, as good old Walt Whitman, himself a self-published author, once put it. Read the rest of this story on The New York Times website. Legendary San Francisco poet Michael Palmer is travelling to Wellington for a master class with poets from Victoria University’s creative writing programme. While in Wellington, Michael Palmer will give a public presentation at City Gallery. He will read from his work and be in conversation with New Zealand poet Bill Manhire, from Victoria’s International Institute of Modern Letters. 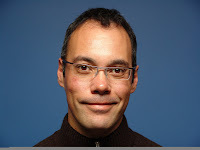 He is well known as a translator from French, Russian and Portuguese, and for major collaborations with dancers and artists. Even more, he is celebrated for his own expressive lyrics. His poems are among the most beautifully written in the last 50 years – both resisting meaning and exploring new ways to bring it into being. 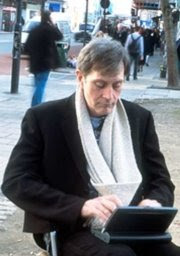 Michael Palmer is associated with a generation of poets which includes Robert Creeley, Robert Duncan, and Clark Coolidge – “poets working in the dark, and at the margins” – and with the LANGUAGE poets. Michael Palmer: “One of America's most important poets...startlingly lyrical and visceral” —The Harvard Review. purchases will focus are war studies, history and sociology. "Congratulations on the Fundraiser yesterday. It was excellent"
day, great performances, great food, good venue and fun. Very enjoyable"
splendid items. It was all very enjoyable"
"a wonderful event. It was huge fun"
Centre, as a development of our stated outreach aims. 1 April 2008 to 31 March 2009. Our deep thanks to the NZ Society for their generous support. The huge fiction release of the year is from a self-confessed coward, writes Jason Steger in the Sydney Morning Herald,25 April, 2008. 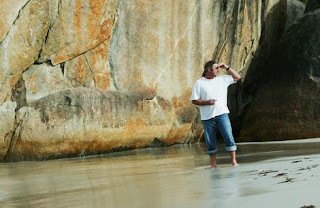 Author labove, in Denmark, Western Australia,pic by Eric Jonasson for SMH. TIM WINTON will not be holding his breath for the publication next week of his first novel for seven years. That is probably because there are enough people in the book doing it for him. Breath is a rites-of-passage story of Pikelet and Loonie, two risk-taking mates who team up with a gun surfer, Sando, and his fractious wife, Eva. The boys become obsessed with risk and danger. It begins simply enough, with staying under the river water for as long as possible, but moves on to the more intense physical and emotional risks posed by huge surf and confronting sexual experiences. Winton recognises the wildness in his characters from his experiences growing up in Albany, south of Perth. "There was this palpable compulsion towards risk," he says, "and that had to do with defeating the empire of boredom." He and his mates drove cars recklessly, did drugs and indulged in their fair share of sexual misadventure. "In terms of me stopping at certain points, that was partly good luck as much as good management. We went very close," he says. Indeed, he reckons had it not been for his love of the ocean he would not have lived as long. "I'm not as confident that I would have survived adolescence without it, in the sense that I did a lot less driving of fast cars than some of my other friends who died in fiery car wrecks or ended up in jail. I didn't do much in the way of drugs for the same reason: I was totally obsessed in the water, diving and surfing, and I think in some strange way you're angry for reasons that you don't even understand in adolescence. I just felt that being in the ocean I was availing myself of the world's greatest poultice." And he concedes that at some point he was a coward. "I don't regret that. Physical cowardice has a virtue of survival." Breath is likely to be the biggest fiction release for the year, with a substantial print run. Some reports suggest Winton had an advance of about $1million. His agent, Jenny Darling, declined to comment on that figure. 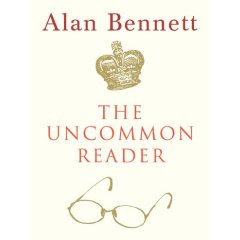 Winton's publisher at Penguin, Ben Ball, said he had high ambitions for the book. "I would not be so indiscreet as to confirm or deny the amount". After Breath is published in Australia and Britain next week, Winton will tour in a modest way here, then Britain, Ireland and the US. The book has been published in the Netherlands within a push to protect Dutch-language publishing. It takes Doris Lessing just four minutes to come out with something, if not actually controversial, then at least unexpected. It's about Hitler. She says she understands him. This from a former member of the Communist Party. (She left in 1956, the year of Khrushchev's speech to the 20th Congress, the one in which he denounced Stalin.) We are talking, I should explain, about Erich Maria Remarque, the author rades, they stand by each other. And as you read that you suddenly understand Hitler. These arebut the opening paragraphs of a three page story from The Telegraph. A must-read for all Lessing fans. Thanks to The Telegraph for this wonderful, comprehensive summary of the Orange Broadband Prize. The country's leading literary award for women novelists is unfair and should be scrapped, says a prominent male novelist. Link to The Telegraph here. By Ian Beck writing in The Times Online. Here is a familiar scene. The author and/or illustrator of picture books for children is at the end of a long school visit. Parents and children are queueing up to buy books. Young Basil from Year 3 would like the picture book his class had enjoyed earlier. But there is a look of horror from Basil's anxious parent: “No, no, Basil darling, you are reading chapter books now, these books are for babies.” There is an exasperated sigh from the author as Basil is pulled away disappointed. Picture books are not just for babies and pre-schoolers - they are for everyone. To encourage appreciation of the art, Booktrust has launched The Big Picture campaign, and a panel of judges has selected the ten best new illustrators published in the UK since 2000. Here are ten emerging and varied talents, adding to the quirky and thrilling picture book canon, which stretches from William Nicholson to Shirley Hughes. In our increasingly visual culture, picture books offer a bridge to literacy, but they are also a rich source of simple aesthetic pleasure and storytelling. And for the full story and list of participants go to Times Online. 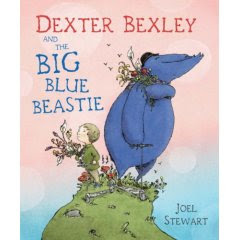 Read review of Dexter Bexley & The Big Blue Beastie by Joel Stewart. We went to this Arts Centre one night last week for the opening of MIRROR ME: Shona McCullagh & Michael Hodgson's unusual and fascinating exhibition which combines film, live performance and interactive software in a nuber of installations. The audience is able to engage in two of the installations which we did and had great fun. The exhibition is on until 3 May and if you are in Auckland I urge you to pop along and have a look. The gallery is located on level one at 321 Karangahape Road, Auckland. Shona McCullagh is a film-maker, choroegrapher and former dancer, among many other things, she is a highly talented multi-platform artist so one is not surprised to learn that she was awarded one f the prestigious Art Foundation laureates in 2002. See the Arts Foundation website for more.